Background Current levels and dangers of opioid use in the U.S. warrant the investigation of harm-reducing treatment alternatives. Purpose A preliminary, historical, cohort study was used to examine the association between enrollment in the New Mexico Medical Cannabis Program (MCP) and opioid prescription use. Methods Thirty-seven habitual opioid using, chronic pain patients (mean age = 54 years; 54% male; 86% chronic back pain) enrolled in the MCP between 4/1/2010 and 10/3/2015 were compared to 29 non-enrolled patients (mean age = 60 years; 69% male; 100% chronic back pain). We used Prescription Monitoring Program opioid records over a 21 month period (first three months prior to enrollment for the MCP patients) to measure cessation (defined as the absence of opioid prescriptions activity during the last three months of observation) and reduction (calculated in average daily intravenous [IV] morphine dosages). MCP patient-reported benefits and side effects of using cannabis one year after enrollment were also collected. Results By the end of the 21 month observation period, MCP enrollment was associated with 17.27 higher age- and gender-adjusted odds of ceasing opioid prescriptions (CI 1.89 to 157.36, p = 0.012), 5.12 higher odds of reducing daily prescription opioid dosages (CI 1.56 to 16.88, p = 0.007), and a 47 percentage point reduction in daily opioid dosages relative to a mean change of positive 10.4 percentage points in the comparison group (CI -90.68 to -3.59, p = 0.034). The monthly trend in opioid prescriptions over time was negative among MCP patients (-0.64mg IV morphine, CI -1.10 to -0.18, p = 0.008), but not statistically different from zero in the comparison group (0.18mg IV morphine, CI -0.02 to 0.39, p = 0.081). Survey responses indicated improvements in pain reduction, quality of life, social life, activity levels, and concentration, and few side effects from using cannabis one year after enrollment in the MCP (ps<0.001). TITLE: Do Medical Marijuana Laws Reduce Addictions and Deaths Related to Pain Killers? ABSTRACT: Many medical marijuana patients report using marijuana to alleviate chronic pain from musculoskeletal problems and other sources. 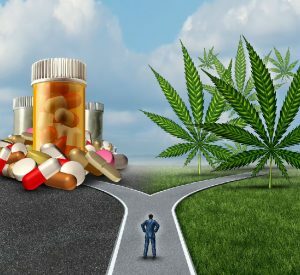 If marijuana is used as a substitute for powerful and addictive pain relievers in medical marijuana states, a potential overlooked positive impact of medical marijuana laws may be a reduction in harms associated with opioid pain relievers, a far more addictive and potentially deadly substance. To assess this issue, we study the impact of medical marijuana laws on problematic opioid use. 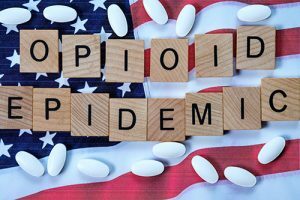 We use two measures of problematic use: treatment admissions for opioid pain reliever addiction from the Treatment Episode Data Set (TEDS) and state-level opioid overdose deaths in the National Vital Statistics System (NVSS). Using both standard differences-in-differences models as well as synthetic control models, we find that states permitting medical marijuana dispensaries experience a relative decrease in both opioid addictions and opioid overdose deaths compared to states that do not. We find no impact of medical marijuana laws more broadly; the mitigating effect of medical marijuana laws is specific to states that permit dispensaries. We evaluate potential mechanisms. Our findings suggest that providing broader access to medical marijuana may have the potential benefit of reducing abuse of highly addictive painkillers. ABSTRACT: Opioid analgesic overdose mortality continues to rise in the United States, driven by increases in prescribing for chronic pain. 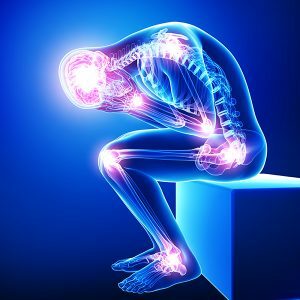 Because chronic pain is a major indication for medical cannabis, laws that establish access to medical cannabis may change overdose mortality related to opioid analgesics in states that have enacted them. Objective: To determine the association between the presence of state medical cannabis laws and opioid analgesic overdose mortality. ABSTRACT: Opioids are commonly used to treat patients with chronic pain (CP), though there is little evidence that they are effective for long term CP treatment. Previous studies reported strong associations between passage of medical cannabis laws and decrease in opioid overdose statewide. Our aim was to examine whether using medical cannabis for CP changed individual patterns of opioid use. Using an online questionnaire, we conducted a cross-sectional retrospective survey of 244 medical cannabis patients with CP who patronized a medical cannabis dispensary in Michigan between November 2013 and February 2015. Data collected included demographic information, changes in opioid use, quality of life, medication classes used, and medication side effects before and after initiation of cannabis usage. Among study participants, medical cannabis use was associated with a 64% decrease in opioid use (n = 118), decreased number and side effects of medications, and an improved quality of life (45%). This study suggests that many CP patients are essentially substituting medical cannabis for opioids and other medications for CP treatment, and finding the benefit and side effect profile of cannabis to be greater than these other classes of medications. More research is needed to validate this finding. 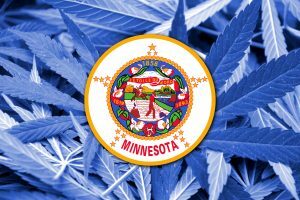 Executive Summary: In May 2014, Minnesota became the 22nd state to create a medical cannabis program. Distribution of extracted cannabis products in liquid or oil form to qualified, enrolled patients began July 1, 2015. Intractable pain was added to the list of qualifying conditions for the program effective August 1, 2016. Intractable pain is defined in the program as, “pain whose cause cannot be removed and, according to generally accepted medical practice, the full range of pain management modalities appropriate for this patient has been used without adequate result or with intolerable side effects.” This report draws on data from enrollment, purchasing, symptom and side effect ratings at time of each purchase, and survey results to describe the experience of patients newly enrolled in the program for intractable pain during the first five months it was a qualifying condition.